The phrase "Theory of Mind" (ToM) has historically referred to the ability to impute mental states to oneself and others, but has been used in a variety of ways during the 35 years since the original Premack and Woodruff paper (1978). [PDF file available below for download.] The analysis of ToM has been the subject of many papers in developmental psychology and in anthropogeny, the latter focusing on differences in mental performance between humans versus other mammals and birds. Because precise definition is necessary for rigorous scientific analysis, the first talk will focus on what ToM is. 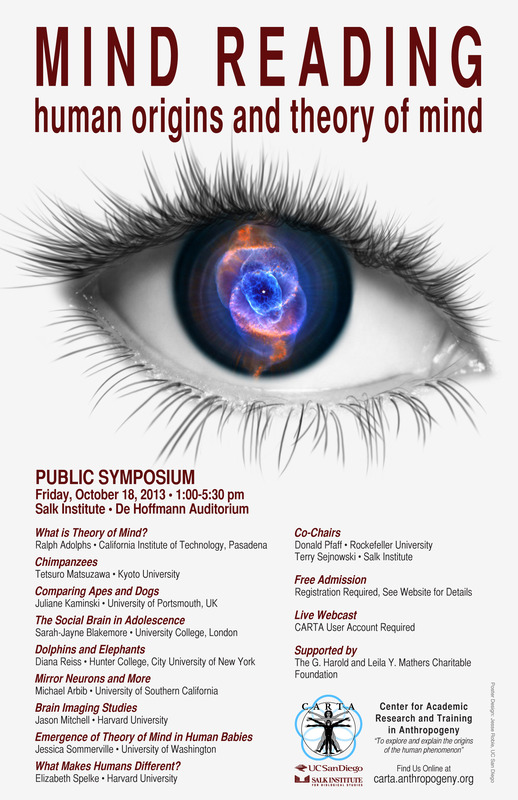 The rest of the talks will cover the Ontogeny of Human ToM, relevant information on other mammals and birds, and the neuronal correlates and mechanisms of human ToM performance.